Engraving can make a memorial item more personal and meaningful. 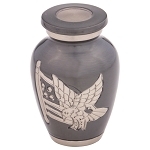 Reflections Urns & Memorials is pleased to offer same day engraving and personalization. If you place your order by 3:00 PM EST, we can engrave and ship it the same day. With our state of the art engraving machines, we can directly engrave hundreds of styles of cremation urns and cremation jewelry items. 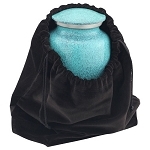 Names, messages, and clip art can take a basic urn to a true memorial and testament to a loved one. 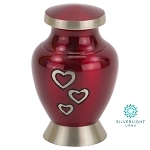 For urns that cannot be directly engraved, Reflections Urns & Memorials still has many personalization options such as brass pendants, brass plates, display stands, and more. You can trust the professional engraving team at Reflections Urns and Memorials. We have engraved hundreds of products with personal care and attention -- from cultured marble urns to tiny silver pendants. Our machines are powerful and versatile. We would like to help you make your engraving and personalization ideas a reality to honor and memorialize a loved one.